Such a stunning colour! 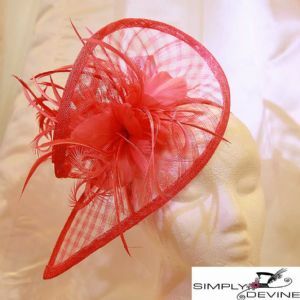 This beautiful hatinator is perfect for a summer wedding or a race-day, sitting on a silk band with non-slip velvet gripper, and is deliciously trimmed with feather flowers for a delicate, feminine look. It is the perfect size for making a statement, but is comfortable enough to wear all day.